Where to Buy Epsom Salt 50 Lbs, Magnesium Sulfate Heptahydrate (Epsom Salt) - 50 Lbs - $57.95 for Sale with Fast Free Shipping! Magnesium Sulfate Heptahydrate (Epsom Salt) - 50 Lbs is a hydrated salt with seven molecules of water, so caking or bridging should not be a significant problem. Although magnesium and sulfur occur naturally in soil, they can be depleted by various conditions, including heavy agricultural use over time. But unlike most commercial fertilizers, which build up in the soil over time, Epsom Salt is not persistent so you can't overuse it. Tests by the National Gardening Association confirm - roses fertilized with Epsom Salt grow bushier and produce more flowers, while the compound makes pepper plants grow larger than those treated with commercial fertilizer alone. Some plants, such as tomatoes and azaleas, actually benefit from Epsom salt as a fertilizer. Epsom salt, which is magnesium sulfate, can help plants survive when the soil has a magnesium deficiency. But, dsepite that, it's possible to kill weeds growing in gravel and through cracks in pavement using epsom salt. You can also use this household item to kill slugs, aphids and other garden pests. Add 1 teaspoon of Epsom salts to a spray bottle filled with 1 pint of water then spray the affected areas. 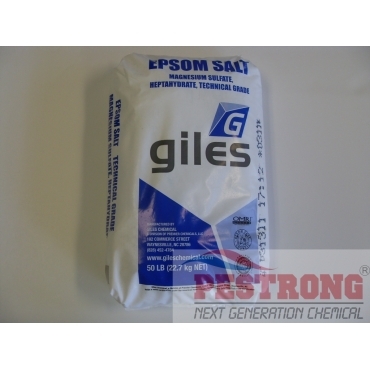 Epsom salts are a form of magnesium sulfate that should turn the grass lawn green within 24 to 48 hours of application. Peppers: Apply 1 tablespoon of Epsom salt with a gallon of water as a foliar spray at bloom time and again 10 days later. Roses: 1 tablespoon per foot of plant height per plant; apply every two weeks. Also scratch 1/2 cup into soil at base to encourage flowering canes and healthy new basal cane growth. Soak unplanted bushes in 1/2 cup of Epsom Salt per gallon of water to help roots recover. Add a tablespoon of Epsom Salt to each hole at planting time. Spray with Epsom Salt solution weekly (1 TBSP per gallon of water) to help discourage pests. We, Pestrong, may ship other brand of Epsom Salt depends on current stock. 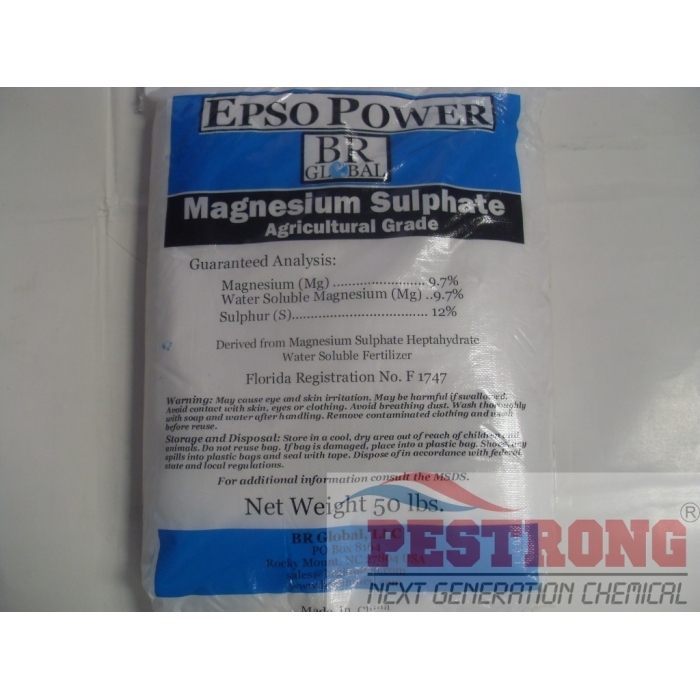 Great way to add important magnesium sulfate into the soil. Fertilizers are great, but if the soil is already fertilized, using more fertilizer doesn't make much sense. Espom salt isn't a fertilizer, and because it isn't I can use this to give the soil a boost without over-saturating the soil with other minerals that are usually in fertilizers. Another great thing about epsom salt is that it's neutral, so it won't affect the soil's pH level, making this a great additive for soils that are already in the pH sweet spot.